Audio recordings were made in addition to video when we were in production of our film, Agnes Martin Before the Grid. Now, we are going back into the archives and creating short clips of additional stories of Agnes' life. 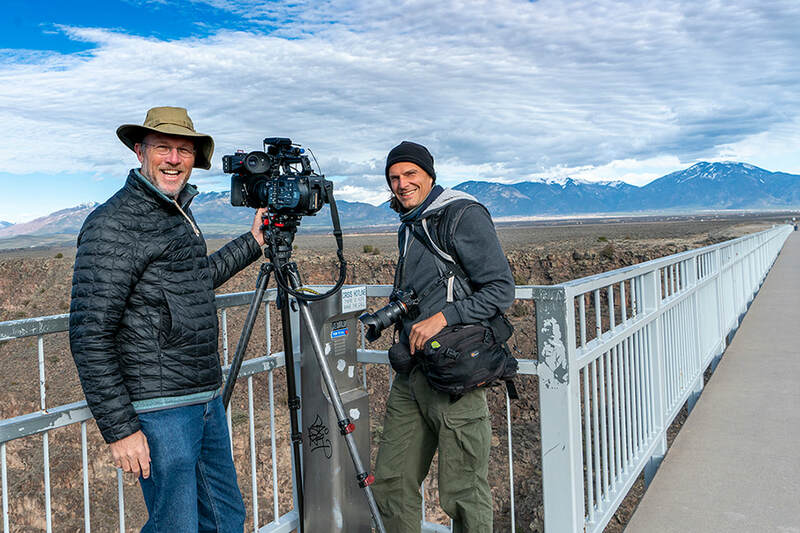 You'll find these clips on our website page, Taos Tales. Here is the first in the series. Enjoy! Have you heard the story of where Agnes is buried? 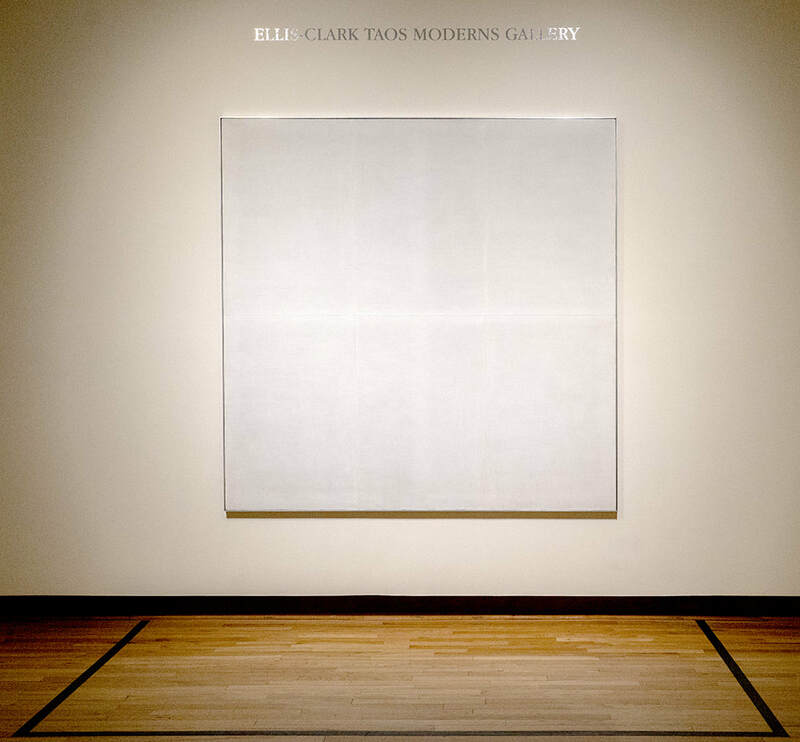 After making millions off her paintings, abstract expressionist Agnes Martin became a secret and substantial benefactor to a range of causes in New Mexico. Here, photographs of the late artist’s philanthropic projects are made public for the first time. 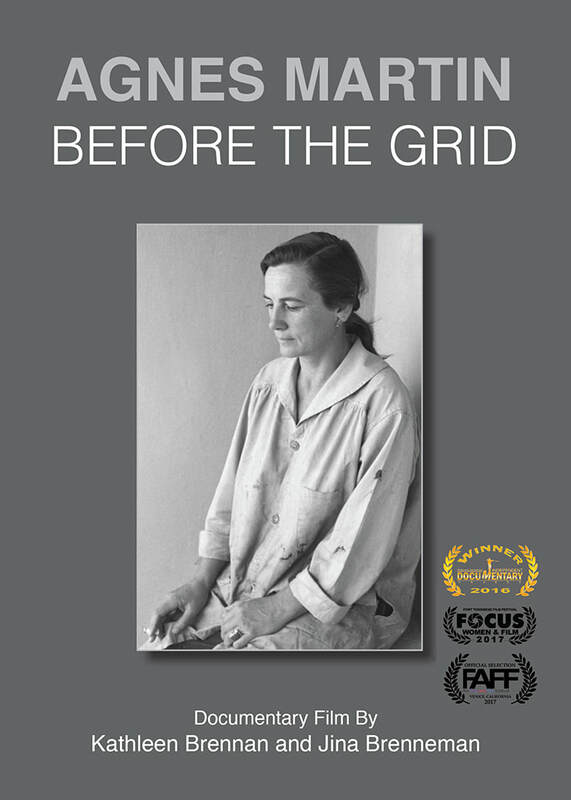 Agnes Martin Before the Grid will be showing on Rocky Mountain PBS this fall. Join us in celebrating Agnes Martin's birthday month. Use the coupon code BDAY to get $10 off your DVD order in the month of March. Agnes Martin was born March 22, 1912. Her art and legacy live on. 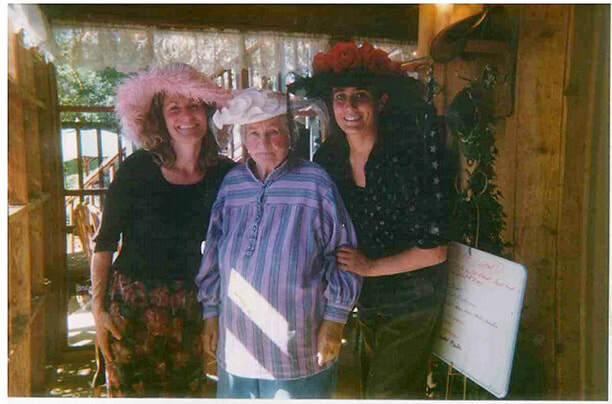 DreamTree Project co-founders Kim Thompson and Cami Hartman with Agnes Martin. Come join us for a night out, to celebrate Agnes and benefit DreamTree Project! The Agnes Martin Birthday celebration at the Trading Post Cafe is Thursday, March 22nd, starting at 6pm, is a benefit for DreamTree Project. This year, Agnes Martin would have been 106 years old. This March also marks 20 years since the seed was planted for DreamTree Project. 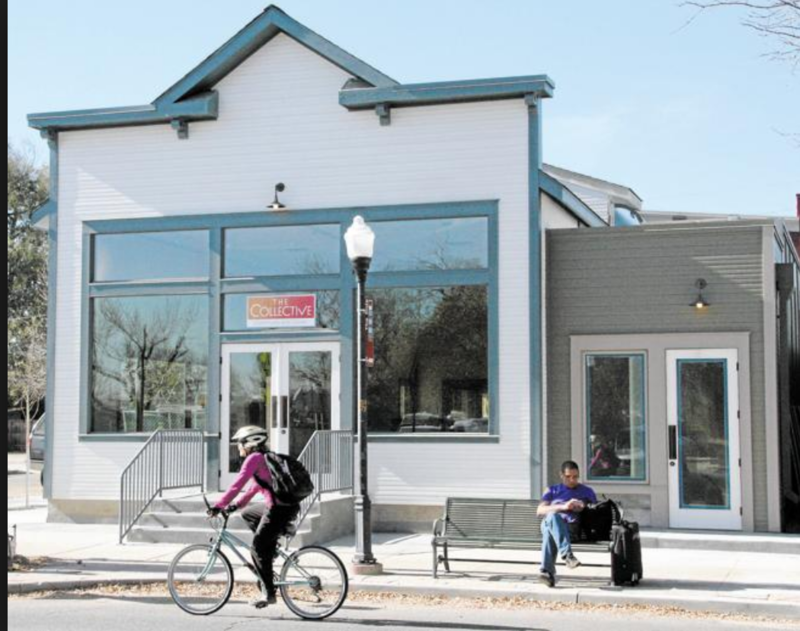 Agnes ate lunch daily at the Trading Post Cafe and was a long-time supporter of DreamTree. This event is a book launch for Religion of Love, with text by Agnes Martin and art by Richard Tuttle. Tickets for the dinner + book are $150; tickets for dinner alone are $100. A pair of tickets costs $250 and includes a book. Beer and wine are included with the ticket price. Please contact Irene Loy, Outreach Coordinator at DreamTree Project, at 575.425.0239 or irene@dreamtreeproject.org to purchase tickets. 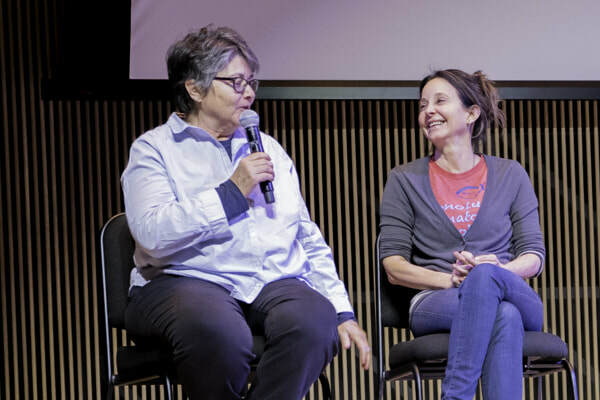 Kathleen and Jina onstage after the film. 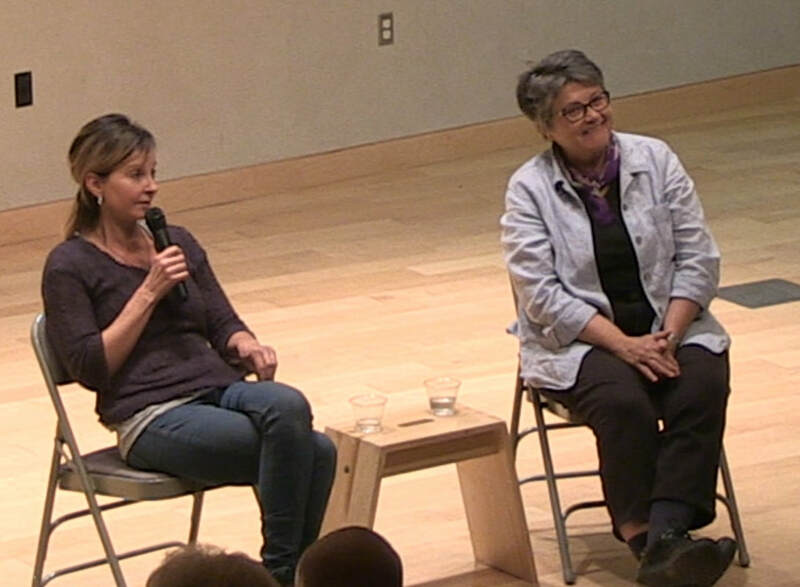 Jina and Kathleen had a great time screening "Agnes Martin Before the Grid" at the new Ent Center at University of Colorado, Colorado Springs. Thank you to the UCCS community. Agnes Martin paintings were featured on the PBS Antique Roadshow. These images are from before the grid and have never been publicly seen. 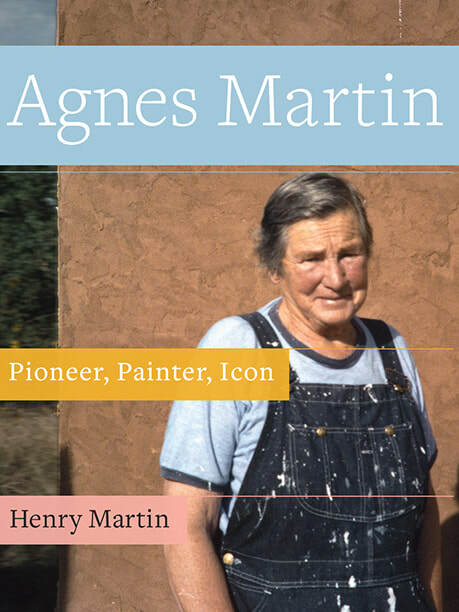 Agnes Martin: Pioneer, Painter, Icon (Schaffner Press) will be published on March 14, 2018 across the U.S. Written by Henry Martin, research assistant and narrator on Agnes Martin Before the Grid. 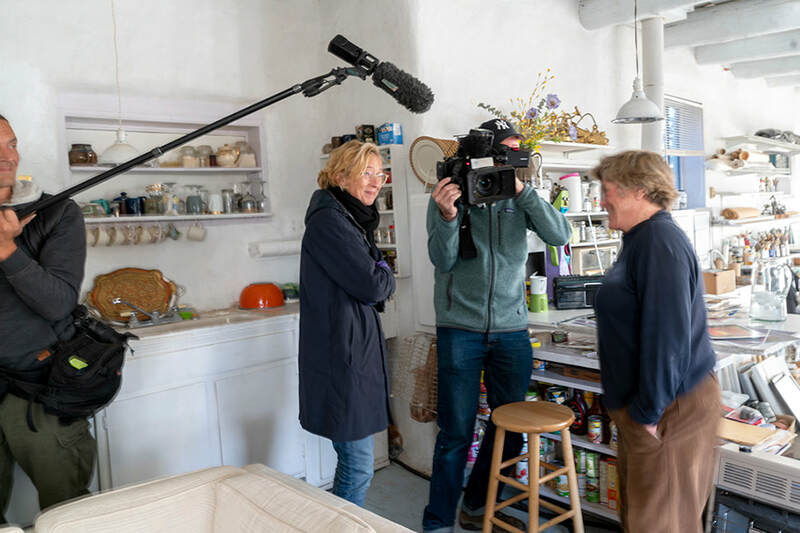 This comprehensive biography explores the artist's life from her birth in the pioneer plains of Canada to her status of icon in the New Mexico desert (and everything in between). 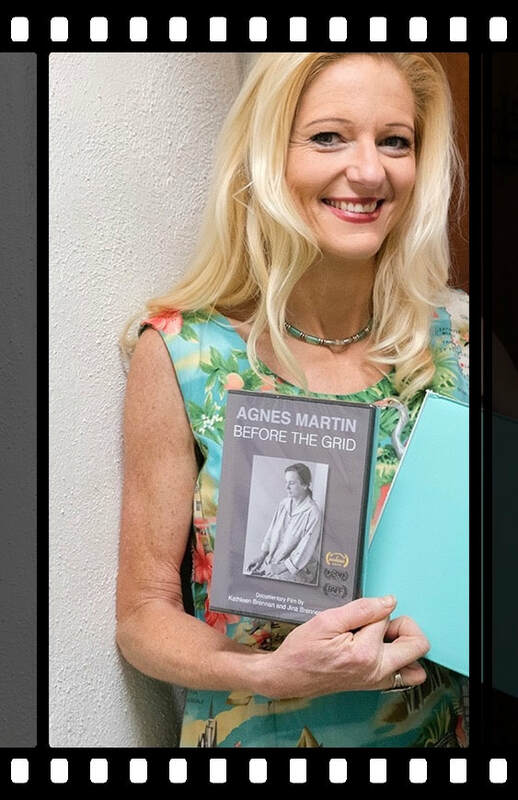 Covering the span of Martin's life, the book includes many characters featured in the Before the Grid documentary including Kristina Wilson, Marcia Oliver, Bob Ellis, Jim Wagner, Louise Sause, and John De Puy. 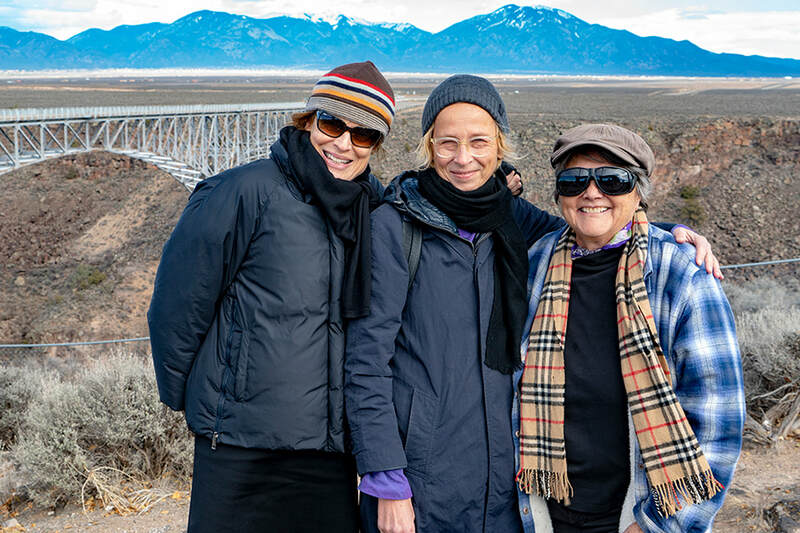 Henry Martin says, "Working on Agnes Martin Before the Grid with filmmakers Kathleen Brennan and Jina Brenneman was an incredible collaboration for me. 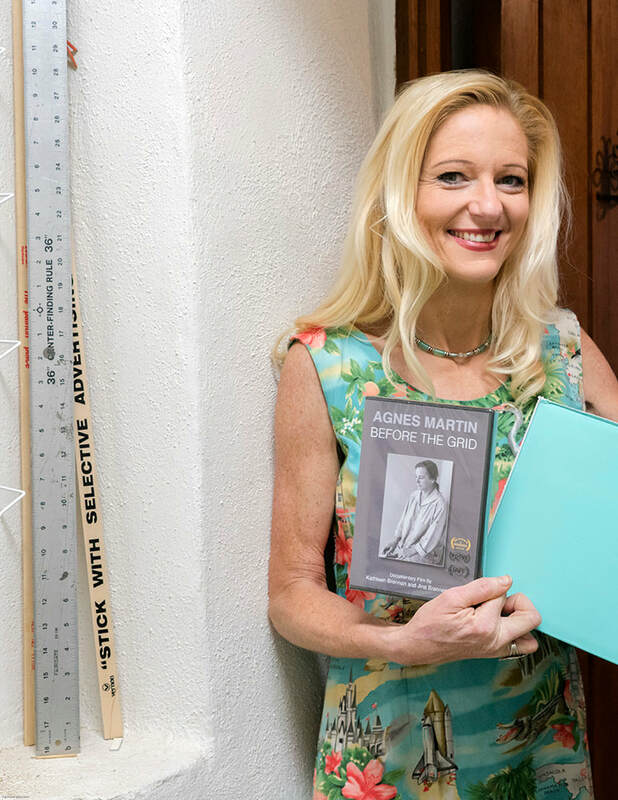 Not only did I learn from their scholarship and methodology, I was inspired by their foresight in tackling overlooked chapters in Agnes Martin's life." Q&A session with film makers after the screening. 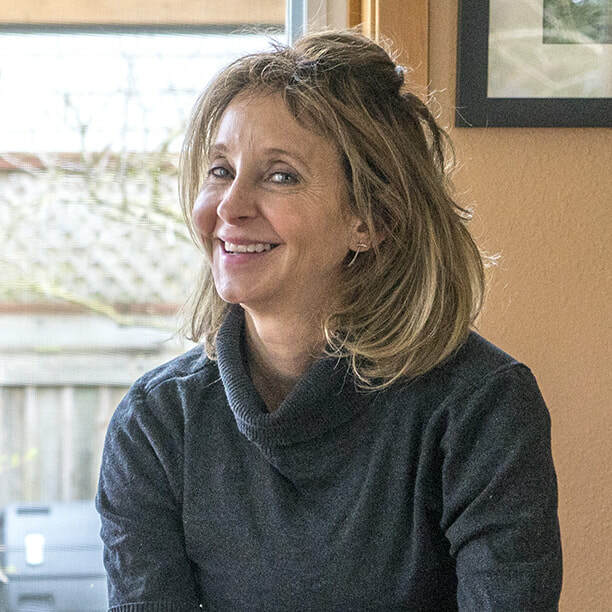 This month, Kathleen Brennan is featured on the blog #100days100women. Everyday for 100 days, starting on December 1, 2017, the blog features a female artist. 100days100women is a list of 100 women artists compiled to celebrate the launch of the biography Agnes Martin: Pioneer, Painter, Icon. This biography was written by Henry Martin, who was the narrator of the film Agnes Martin Before the Grid. Agnes Martin: Pioneer, Painter, Icon (Schaffner Press) will be published March 2018 across the U.S. Written by Henry Martin, research assistant and narrator on Agnes Martin Before the Grid. An award-winning Irish writer and art scholar, based in the U.K., the author hopes that Agnes Martin: Pioneer, Painter, Icon will appeal to a broad audience, while revealing many new discoveries (and rare photographs) to those already familiar with the artist's life and work. 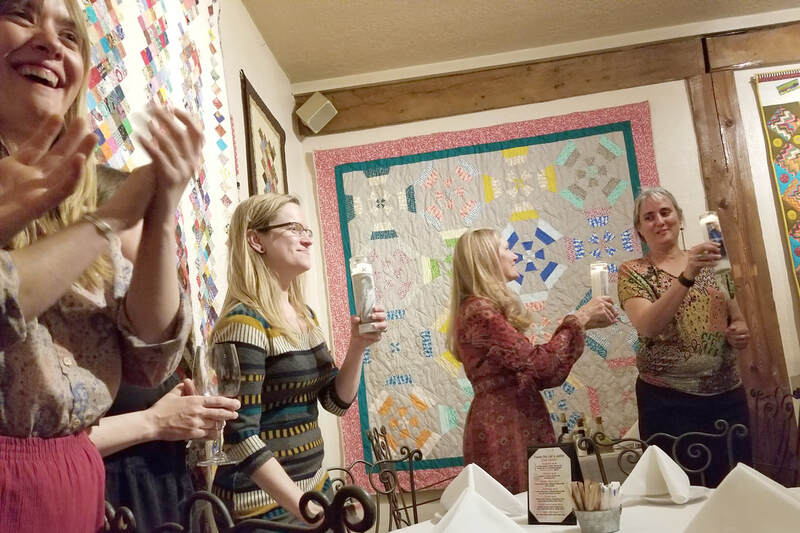 Described by Betty Parsons' biographer, Lee Hall, as "Rich, clear, detailed, and wide-ranging,"
On Friday, January 19, 2018, Taos Retirement Village hosted a screening of the film. 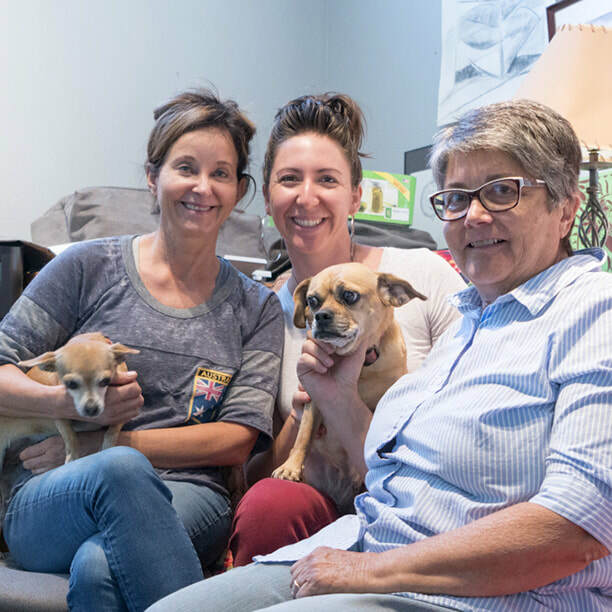 Residents came to watch a story about an artist who once lived in their community. Kathleen was present and had a great discussion with the residents. 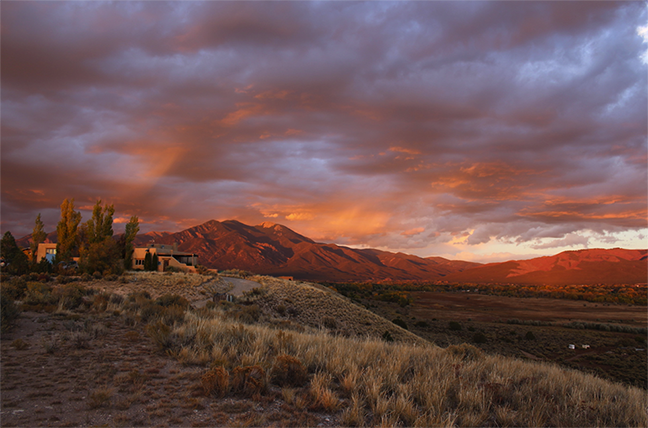 Jina will be in Taos on October 7 for the Q&A sessions after the 2 pm and 7 pm screening of the film at The Harwood Museum. 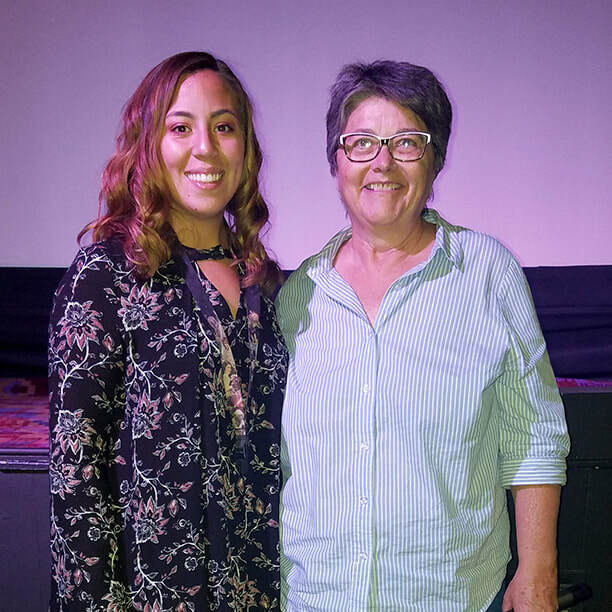 Rebecca Jimenez, a film student at UNM, and Keif Henley, the Guild Cinema manager, with Kathleen. 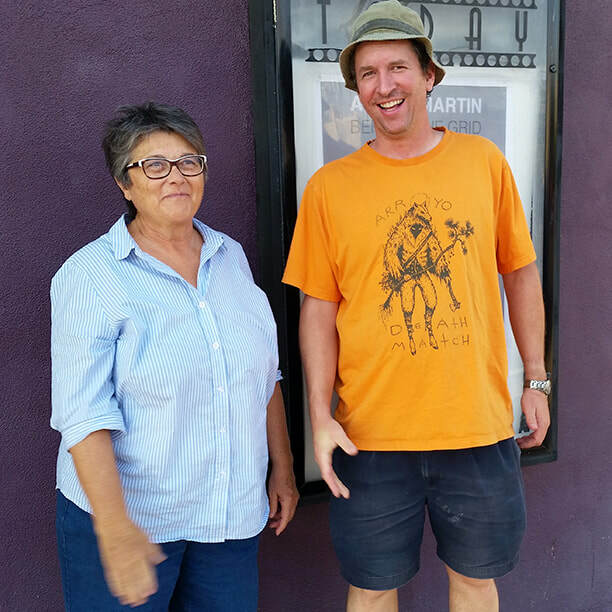 The Guild Cinema in Albuquerque, located near the University of New Mexico, screened the Agnes Martin Before the Grid multiple times the last week of August. The majority of their audience are UNM students and people interested in alternative cinema. It was great to know there was both students and teachers in the audience, as they are one of our intended viewers. On Thursday, August 31, Kathleen did a Q&A session. 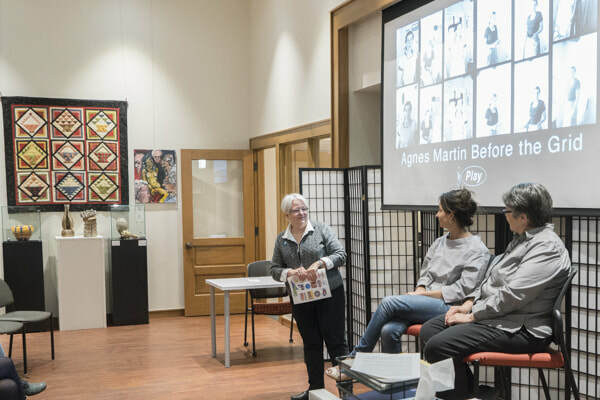 It was a great turn out with lots of people interested in the life of Agnes Martin. Jina joined Monique and Kathleen in Taos for a fun/work day together in the office.